God gave us everything in pairs, two hands, two eyes, two ear. But why only one heart? 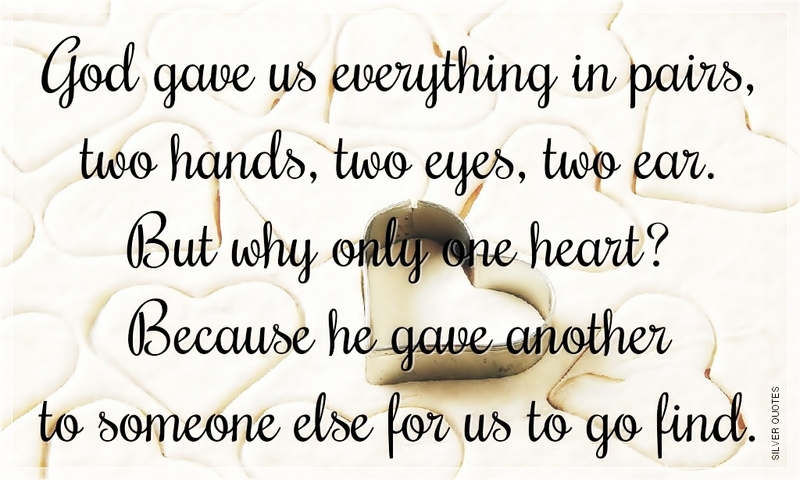 Because he gave another to someone else for us to go find.